Dec 24, 2016 Sermon: Christmas dinner: The sweetness of the baby Jesus, and the spice of life from the Holy Spirit to spread the love and the power of the Gospel. ​Pastor teaches us about the Lord's prayer: location, motivation, vocation. June 12: Philippians teaches us about discipline vs. love. June 5, 2016. Philippians teaches us our mission statement! in two parts. Pastor's sermon for 3/20/16: The time between the glorious entry into Jerusalem and the trial of Jesus. Pastor Mark's sermon for 3/2/2016 Wednesday: To know who you are, you must identify with the Great I AM. I AM spells out identity, action and motivation. The sermon this past Sunday, Feb.28, 2016: Don't pay the bully; fight him. Fight the Sin. Pastor Mark's stand-in Paul preaches this weekend. Pastor's Sermon on Wednesday: The big savior question? The sermon this Past Sunday 2.15.2016: How is Christianity like bowling? Pastor Mark's sermon for Ash Wednesday: Lent season. It is not all about me. 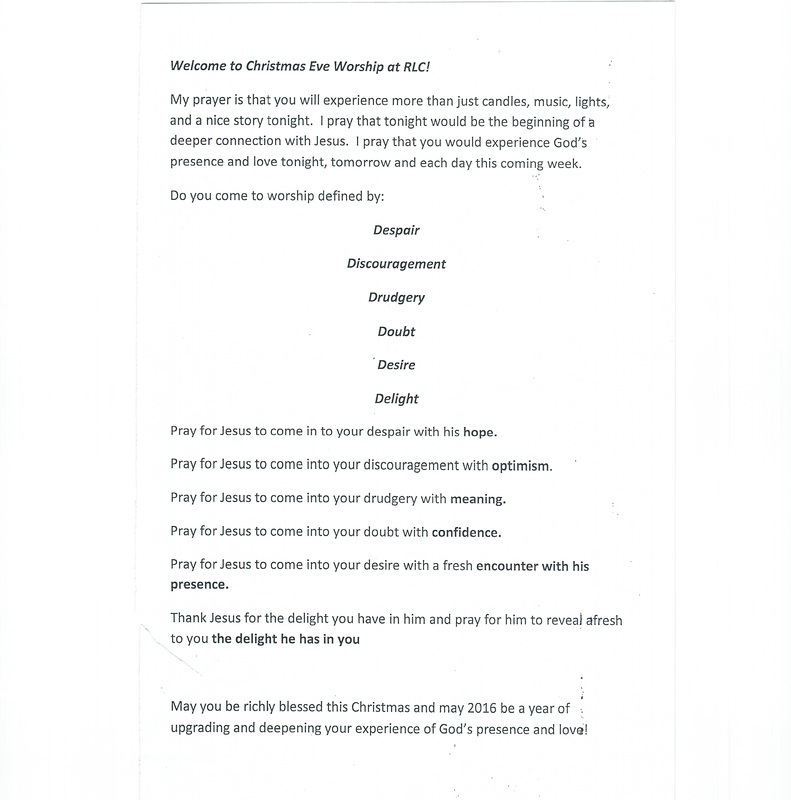 Pastor Mark Sermon Dec 25, 2015: Praise God on Christmas. Which D are you when you come to worship today? Pastor Mark sermon Dec. 20, 2015: Don't have Jesus be your AAA plan, your spiritual tow truck. Make Jesus part of your life at all times, good and bad. Pastor Mark sermon for 12/06/15: Advent is a time of becoming, of the coming of Jesus, and of completion. Pastor Mark sermon for 11/15/15: Because we know Jesus, we become His ambassadors. We can represent Jesus because we think as Jesus would, and do as Jesus does. Pastor Mark's sermon for 11/8/15: What is a culture of honor? How does Christ show us how to show that culture in our lives? Pastor Mark's sermon on 11/1/2015: Does you code of ethics depend on following rules, doing things with a purpose, or is it a reflection of your character or your virtues? Do you connect to God? Only through your head? Or is the connection in the heart? October 18, 2015 The third prong in connecting: connecting outward. Reaching those outside of our home church. October 10/11, 2015 : Pastor Mark Borseth's sermon in 3 parts.